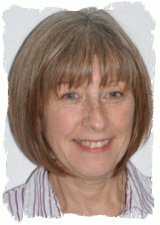 My name is June Sayer and I am a Reiki Evolution Master/Teacher. I run regular Reiki training courses in Burnham-on-Crouch, Essex. Having qualified in homeopathy, nutrition and iridology I felt that I had reached a full complement in the field of complementary medicine and I was surprised to hear a client say to me that I had ‘healing hands’ after I placed my hands near her leg to assess whether or not her leg was red and cold or red and inflamed – as this was going to lead me to the choice of homeopathic remedy. I met my first Reiki master while I was training in Wing Chun and Chi Gong and initially dismissed the idea of attending a first-degree course, but after some time I decided to book on the course. Even though I was used to feeling energy I was amazed at the feelings I experienced in my hands describing it to my Reiki master as being like a ‘Harry Potter’ wand of energy. I soon began to try out my new skills with members of the family and friends and decided to go on to take Reiki level 2 and once again experienced an intensity of energy. Originally I thought that this would be for my own self-development but it soon became clear that my clients had other ideas. They began to request Reiki treatments enthusing over the benefits they received from each session telling me that time flies by when they are on the couch as well as sharing with me the impact of the beautiful colours they have seen whilst undergoing a treatment. Relaxed yet energised is how they describe the feeling after a Reiki treatment. Being a regular exhibitor at Mind, Body, Soul events I was able to give taster treatments to a large number of the public of all ages and their favourable responses to even short treatments meant that my confidence grew in treating others. My first two levels of Reiki were not with Reiki Evolution and as I was using my intuition more and more, I felt as though there was more that I could achieve and needed to look for another Reiki master. I searched the Internet found Reiki Evolution and after a long chat with Taggart King soon realised that this was the way I should continue in order to obtain my Reiki Master level. When I received my manuals and CD’s I was introduced to things I had not been taught on my other courses, such as the dry bathing technique, Ken Yoku, and Hatsu Rei Ho. I undertook my Reiki Master/Teacher course with Tina Shaw and what a great experience it was – thank you Tina. So with great enthusiasm I began running Reiki classes and have worked with some very interesting people who have shared their hopes and dreams with me. The class numbers are kept small to allow for individual attention but some of the courses have been carried out on a one-to-one basis. I love the simplicity of the Reiju empowerments along with the sense of well-being that I am also fortunate to experience when carrying these out with people on the Reiki courses. The Reiki Evolution Internet discussion group is open to all who have trained offering ongoing support – so you are not alone. 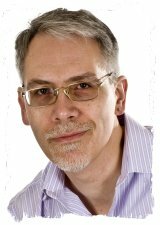 Having been a homeopath for the past 19 years, seven years ago I began to offer courses in Homeopathy and have taught all levels from introductory one-day courses through to practitioner Diploma level. With the Reiki teaching added to my skills I am one of the fortunate people who is working in a field that gives such fantastic ‘job’ satisfaction. Wanting more I undertook the Reiki drum course with Kay Gillard, again a fascinating journey –thanks Kay. I am also interested in Shamanic healing and crystals but these are not taught on the Reiki Evolution course – you get pure, simple and powerful Reiki. I am married to a wonderful man who has supported me throughout my years of training in complementary medicines and has indeed been a ‘guinea pig’ much to his delight when his back pain eased after a short burst of Reiki healing. If you feel that you would like to learn Reiki healing with me I would be honoured to teach you and share your experiences.